Aesthetic appeal and presentation are factors of power for commercial properties in Denver. Disease can leave the trees and shrubs around businesses withered and dead, which sends a bad and unprofessional message. With Lawn Doctor’s preventative solutions, your commercial landscape can maintain its attractive qualities. Our treatment programs identify disease and use injections and sprays to target bacteria and fungi. We are proud to be one of the only providers of environmentally-focused products in Denver, so Lawn Doctor’s treatments are safe for everyone. For more than four decades, Lawn Doctor has kept commercial landscapes safe from disease. We started in Denver in 1972 and have since grown operations to reach all the way to Colorado Springs and Pueblo. Our specialists are local, and since this is our community as well, we care about Denver’s trees and shrubs just as much as you do. We use our knowledge to bring comprehensive disease treatments to any sized commercial property. Infected plants often display discoloration, stunted development, and abnormal appearance. All of these things can negatively impact business because they make your company look bad. Our tree and shrub treatments can save plants from these symptoms and prevent diseases from taking root. Lawn Doctor’s innovative services protect the trees and shrubs at corporate offices, factories, and all kinds of other commercial facilities in Denver. We tailor our treatments to fit whatever your Denver commercial landscape needs. At Lawn Doctor, we’re committed to delivering excellence in Denver for every aspect of our tree and shrub treatments. Our advanced solutions are environmentally conscious and safe for the people and animals that visit your commercial Denver property. We provide free visits between services to guarantee the effectivity of the disease program and apply retreatments if needed. Our Denver clients appreciate that we offer flexible scheduling and hassle-free billing options like autopay and pre-pay. Be sure to give us a call here at Lawn Doctor for all your tree care and disease treatment needs. 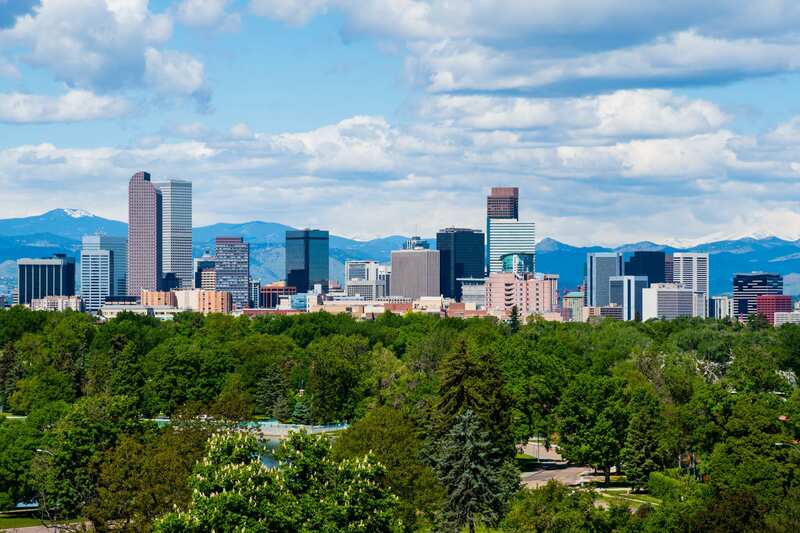 We believe that every residential and commercial property should have the best care available to them, which is why we provide year-round service to the Denver area. We have made it our mission to provide premium landscape services throughout Colorado. No job is too big or too small. So, if you are looking for naturally-based disease treatments for your trees and shrubs, talk to us today!